Grand Champion Kiri with her owner/handler, Alison. Kiri is from our J Litter. Ten-year-old Ruben from our G Litter with his Breeder, Mary-Ann. Whether competing in conformation, performance events, and/or living an interesting life as a beloved companion, we are proud of every Kaibab Bernese Mountain Dog — and so grateful to their humans. 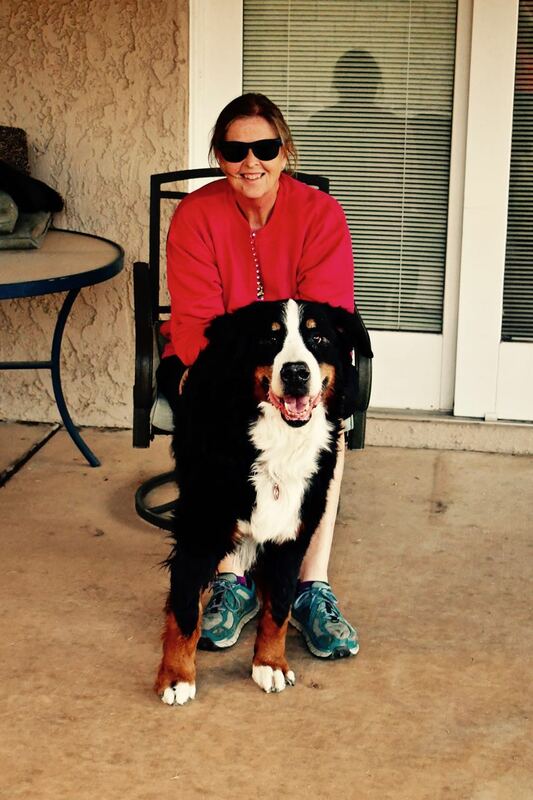 This section of our website provides information specific to Kaibab Bernese Mountain Dogs. The About Us includes a brief introduction to the humans and our mission as breeders. The Litter Summary page, as the title suggests, is a summary of data for each of our litters. 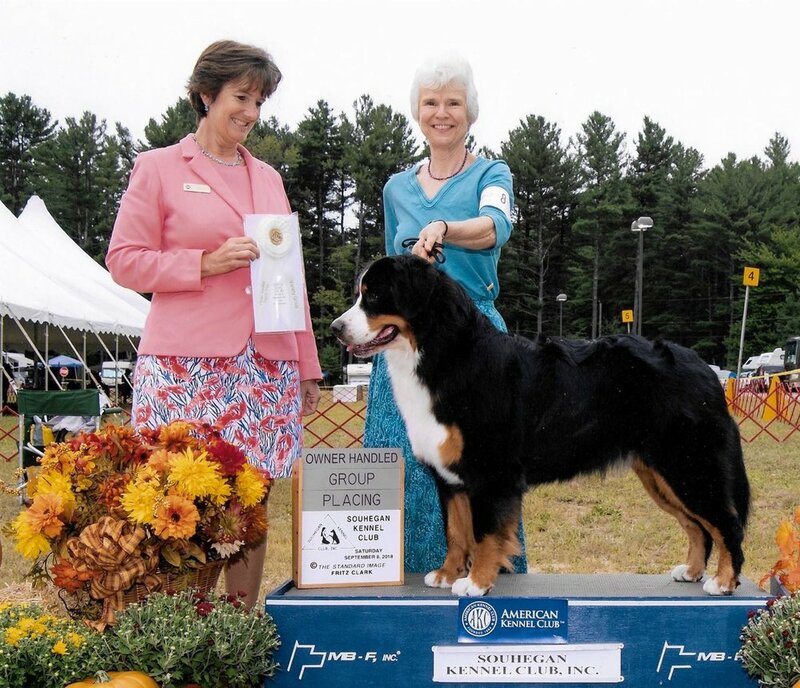 We are proud of the recognition our dogs (and their people) have received from the Bernese Mountain Dog Club of America (BMDCA), and the BMDCA Award page is all about that. We do (obviously) breed Bernese Mountain Dogs in a thoughtful and limited way; information about that is included on the Puppies page. We welcome your questions and/or comments about Kaibab Bernese Mountain Dogs. Master Draft Dog and Agility Ace Kidd with his human, Marti. Kidd is from our iPup Litter.